WHERE DID THE WORD SERVICE GO IN EXPOSITION SERVICE? As I survey the landscape of the behemoth firms on websites, SM, digital and print media platforms…..what immediately caught my eye was where is the exposition service? If you open the Big guys web sites, you will be invited to enter in Full scale digital marketing, Brand Experiences or Total immersive environments. So, I ask where is the service? Being all things to all people often decreases the ability to do all things well. Don’t get me wrong, Complete Show Services can offer everything you need for a Conference or Exposition yet our Core business is providing just what our name says, Complete Show Services; we are experts in General Service Contracting, Exhibitor Appointed Contractor Installation & Dismantle labor services, Custom Exhibit Builds & Rentals, Logistics and Exhibit Storage ….and we do it better. If you take away the Trade Show 200 Top conventions, it leaves you with 1000’s of clients who Don’t want us to book their hotel rooms, give them a mobile app or provide digital marketing . What our clients’ need is a solid performer for the Exhibit Hall. And that’s what we do….go above and beyond to outperform on the show floor. 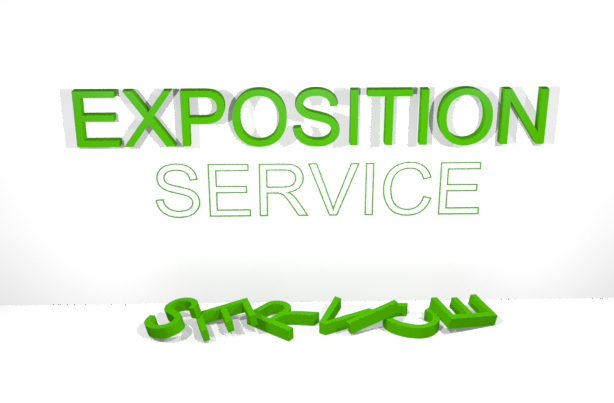 Again I must ask….Where did the word Service go in Exposition Service? In order to keep our focus on gracious service as an industry leader, part of my job as Sales & Marketing Manager is to have not just 1 finger but both hands on the pulse of the industry. Knowing what our competition is doing helps us effectively chart our own marketing and sales strategies. Complete Show Services has quietly grown since its inception 24 years ago. We have done that by doing what our Founder’s mantra is: We do what we say we are going to do and we do it better. Our goal is to provide everyone we interact with a positive exhibition experience through gracious hospitality and attention to detail. The overwhelming majority of Associations, Trade Groups and Corporations don’t need us to book their hotel rooms , flights ,local transportation or anything other than exposition services; they have their own highly competent professional staff to handle these areas and tasks. What we know is that our clients want us to provide service excellence when their precious asset (the exhibitors and attendees) are in our care, custody and control. Since our corporate concentration is Exposition Services, we will effectively manage your Exposition requirements, be true to your Brand and be proactive from pre-production to onsite operations to post show coordination. Are you looking for a firm that doesn’t pretend to be all things to all people? Are you looking for a company that isn’t claiming to be specialists in an infinite number of multiple industry specialties? Are you looking for a Complete Show Services supplier that has a proven track record of success? Stop looking and email me or give me a call. We’d be thrilled to listen to what you need and just do that for you better than the Goliaths can. Mitch Isaacs, mitch@completeshow.com, 702-248-6200, Sales & Marketing Manager, Complete Show Services.